Do you love seafood ? If you are in Kuala Lumpur, I recommend you must visit Thai Fish Farm at least once. This is a fish & vegetable farm in the middle of the jungle in the hills behind Ampang. We heard about this via one of our friend and planned to visit there one evening. Once reached, we realized that, it was never, ever a bad decision. 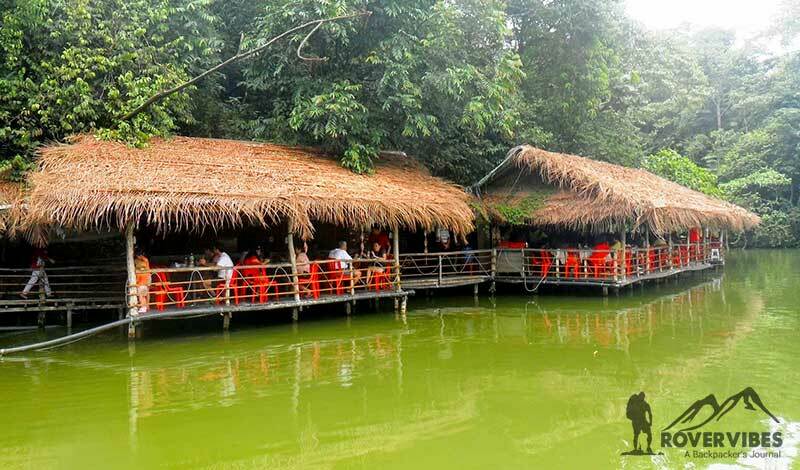 As it was a new experience to dine in the middle of jungle kind place, we all were happy. The ambiance at night was also good and that evening was crowded. They got a number of hut style pavilions built above the fish pond, and it looks cool. They have some good menu and served as hot. I still remember the taste of that hot pandan chicken and fish fry. The menu got grilled crabs, fresh vegetable, Thai steamed siakap, snail meat, omelete, lamb, rice etc and we have tasted some coconut drink which was almost like toddy but very sweet. Also most of my friends commented that this is a good place to arrange events and parties. Overall good experience even though bit pricy. And don’t miss that awesome night view of Kuala Lumpur city from Lookout point while coming back; so plan one evening there. Note, Thai Fish Farm is about 20KM from KLSentral.